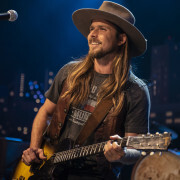 Austin City Limits showcases left-of-center country with Kacey Musgraves and Lukas Nelson & Promise of the Real in a new episode. 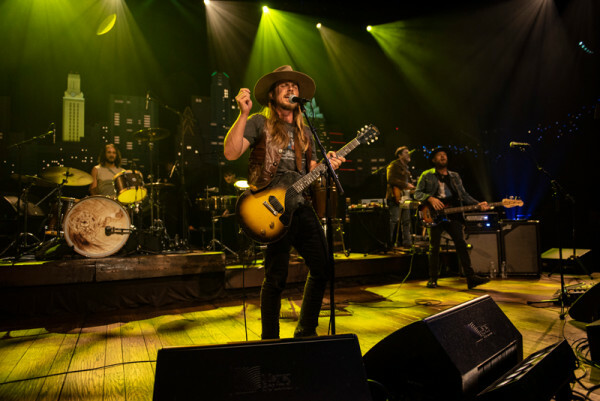 Two-time Grammy Award-winning Kacey Musgraves returns for the first time since her 2014 appearance and roots rocker Lukas Nelson and his band Promise of the Real make their ACL debut. 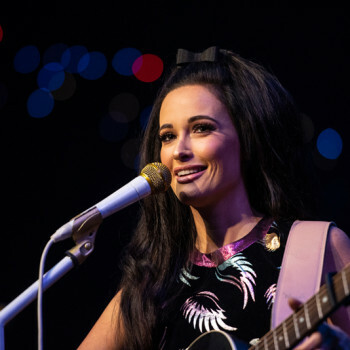 One of country music’s most critically acclaimed singer-songwriters, Kacey Musgraves returns to the ACL stage with songs from Golden Hour, her third album, and a career highlight. The release has generated glowing reviews and recently earned a coveted Album of the Year nomination from the Country Music Association for the upcoming CMA Awards (on November 14), along with a nod for Musgraves as Female Vocalist of the Year. With a sequin-studded saddle suspended over the stage, the boundary-pushing country artist delivers a radiant seven-song set showcasing Golden Hour, opening with the lush “Slow Burn,” an introspective stunner reflecting the more personal direction of her latest collection. The East Texas native made a name for herself with her piercing observations and irreverent brand of country and reaches back to her 2013 breakthrough for the fan-favorite “Follow Your Arrow,” letting the crowd take over on the final verse. “Get on your roller skates Austin,” she instructs the rapt audience for the disco-fied set-closer “High Horse,” as Musgraves treats the crowd to some smooth moves, turning the ACL stage into her very own dance floor. After more than a decade on the road barnstorming across the U.S.A. and around the world, Lukas Nelson & Promise of the Real have developed into one of music’s most impressive live acts, earning a 2018 Group of the Year nomination from the Americana Music Awards. The band’s sound draws on many of Nelson’s influences including his own father, outlaw country icon Willie Nelson, and Neil Young, with whom the band has regularly toured and recorded in recent years. In their ACL debut, the six-piece outfit delivers on their promise with a powerhouse set filled with songs from their acclaimed self-titled album. Opening with the fierce rocker “Something Real,” the band showcase their bona fides segueing seamlessly into country heartbreaker “(Forget About) Georgia.” The Austin-born Nelson performs a sterling solo acoustic “Just Outside of Austin,” a crowd-pleaser steeped in the Texas singer-songwriter tradition, before closing out the set with the stirring social anthem “Turn Off the News” for a memorable ACL debut. Tune in this weekend for this episode, and, as always, check your local PBS listings for the broadcast time in your area. Go to the episode page for more info, and don’t forget to click over to our Facebook, Twitter and newsletter pages for more ACL info. Join us next week for a brand new episode featuring progressive soul artist Janelle Monáe.